NGOs (not-for-profit, voluntary citizens’ group, which is organized on a local, national or international level to address issues in support of the public good) provide the United Nations with valuable links to people around the world and are a vital source of energy and expertise in articulating and defining global issues. In this time of increased interdependence through globalization, there is a need for ever more cooperation and participation. Part of the United Nations Secretariat. It is headed by an Under-Secretary-General. The Department of Public Information is responsible for communicating the complexity of the work of the UN to the world. As DPI NGOs, we mostly deal with the NGO Section which is a part of the Outreach Division. 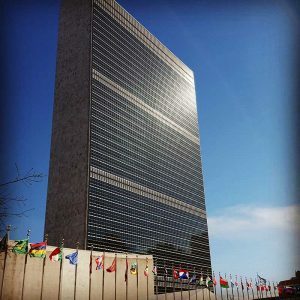 There are currently about 1,500 NGOs associated with the Department of Public Information (DPI) at the United Nations. Under the overall authority of the General Assembly coordinates the economic and social work of the United nations and the UN family of Organizations. As the central forum for discussing economic and social issues and for formulating policy recommendations, the Council plays a key role in fostering international cooperation for development. It also consults with non-governmental organizations, thereby maintaining a vital link between the United Nations and civil society.